Harvard Affirmative Action Trial Ends, But Lawsuit Is Far From Over An opinion could come in early 2019. Both sides say they plan to appeal, which means the fate of affirmative action policies could once again end up in the hands of the Supreme Court. Harvard University denies allegations of racial bias, and the school's attorneys presented their own set of statistics to prove their case. But the judge's findings in this case will likely be followed even closer. There is no set timeline for those findings; however, court watchers believe U.S. District Court Judge Allison Burroughs may release her opinion in early 2019. Both sides say they plan to appeal, which means the fate of affirmative action policies could once again end up in the hands of the Supreme Court. For supporters of affirmative action, diversity on college campuses is on the line. Leaders in the higher education world say taking away race-conscious admissions would result in homogeneous classes. But others, like the plaintiff, say that is an overreaction. They argue that considering someone's race opens the door to racial bias. Like many discrimination lawsuits, this case was largely made with statistics. Early in the trial, the plaintiff's attorneys pointed to recruitment numbers and a Harvard program that sends recruitment letters to high school students based on standardized test scores. According to school policy, Asian-American males living in rural states need to score a 1370 on the PSAT to get a letter. White males, however, only need a 1310. "That's race discrimination plain and simple," argued attorney John Hughes. Harvard Dean of Admissions William Fitzsimmons pushed back, saying that the college uses that tactic to attract people in rural areas who historically may not have considered the school and that those standards are not used once students enter the applicant pool. The plaintiff also argued that Harvard officials should be considering race-blind admissions tactics. According to the plaintiff, it's possible to still get a diverse class without considering race, especially if Harvard increased its "tip" for applicants of low socioeconomic status. Harvard officials say doing that would lead to an unacceptable drop in the academic quality of an incoming class. But it was Harvard's application rating system that took center stage in the trial. The plaintiff's analysis shows Asian-Americans routinely perform better in academic and extracurricular ratings in this system, but they consistently fall behind other ethnic groups in what is known as a "personal score." When plaintiff's experts limited their analysis to only include top academic performers, the differences in personal ratings became wider. "The magnitude of racial preferences is quite large," said Peter Arcidiacono, the Duke University economist who conducted the plaintiff's analysis. Harvard denies the allegations, and the school's attorneys presented their own set of statistics. According to David Card — a University of California, Berkeley economist and an expert witness for Harvard — it's misleading to focus so heavily on academic performance. In his analysis, he explains that the school receives several thousand applications with perfect GPAs and standardized test scores. 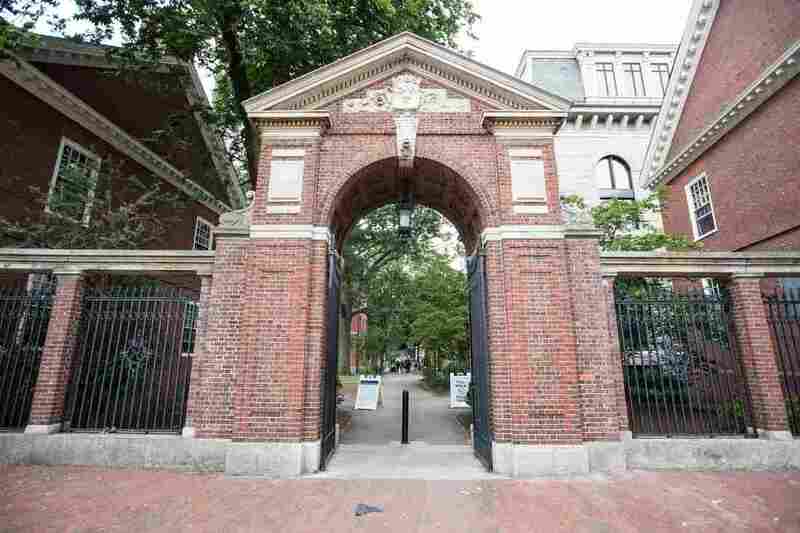 But Harvard only has room for about 2,000 students in its freshman class each year, and school officials argue it takes high scores in multiple fields to get in. Contrary to the plaintiff's findings, Card's analysis shows that being Asian-American did not impact an applicant's likelihood of getting accepted in a statistically significant way. So why are these two analyses so different? That was another hotly debated topic. While both Harvard and Students for Fair Admissions were given the same set of application data to prepare for trial, SFFA excluded a group of students that includes recruited athletes, children of alumni and children of faculty. SFFA argued those students have higher admission rates than the general population and would have an outsized influence on the results. But Harvard said conclusions about admission biases cannot be made without looking at the entire applicant pool. After spending multiple hours answering questions on the witness stand, Harvard's dean of college, Rakesh Khurana, pleaded, "If I felt there was any intentional discrimination, I would have rung multiple alarm bells, as a professor, as a dean and as a father." He also maintained it would be impossible for admissions officers to ignore a student's race because, for many applicants, their race fundamentally shapes who they are. That sentiment was shared by eight Harvard students and alumni who took the witness stand to defend the university for its use of race-conscious admissions. "I personally benefited from affirmative action," testified Harvard senior Thang Diep. "It allowed my immigration history [from Vietnam] to be taken into account, and my own experiences to be taken into account." Alum Sarah Cole, who is African-American, testified that she would not have applied to Harvard if it didn't consider race in the admissions process and value diversity in its undergraduate classes. "Race-blind admissions is an act of erasure," she said on the witness stand. "To not see my race is to not see me." Admissions officers testified that facing adversity, a passion for community service and displaying general qualities of grit have helped some candidates survive the endless cuts required to narrow a pool of about 40,000 applications. "It's an open secret in our community"
Each side would have the public think it's a straightforward case — Harvard is either discriminating or it's not — but many in the Harvard and greater Boston community have a mixed view. Harvard senior Jang Lee said he doesn't like that Asian-Americans are being used as a wedge in this discrimination case. He also takes issue with Edward Blum, the conservative legal strategist behind Students for Fair Admissions and the same person who spearheaded the affirmative action lawsuit against the University of Texas, Austin, which made it to the Supreme Court. "I get angry and frustrated because there's this white guy saying that he supports Asian-Americans," Lee said. "When you look at his track record, it's very clear that he does not care about Asian-Americans or people of color." "I'm definitely much more than my race," she said. "I care about human rights, about social change. Affirmative action is overlooking the most important features that a person can bring to the table at school, not just the features that we're born with." "It's an open secret in our community," she said. "You have to work 10 times harder than other races to go to a top school." "I don't know why Asians are so unlikable through the school's eyes." Regardless of this court's decision, the debate over this lawsuit is far from over. An earlier version of this Web story put the size of Harvard's applicant pool at around 20,000. In fact, Harvard receives around 40,000 applications a year.